It is launched in the market but no available for buying in the market. This smartphone is about to launch a large variety of smartphones like Xiaomi Redmi 3, Redmi 3s, Coolpad Note 3 Lite and Lenovo Vibe K5. These devices are priced in the same range and will be providing competition to it. Over the specifications, the phone features a 5.5 inch HD IPS display with 16M colors. The resolution of the screen is 1920 x 720 pixels which also supports five finger touch display. This provides extra smooth experience to the users. The smartphone is powered by a 1.3 GHz 64-bit MediaTek MT6735 chipset (quad-core processor) coupled with 2 GB of RAM. The internal memory of the device is 16 GB which can be further expanded up to 64 GB using a microSD card. Intex Aqua Music sports a 13-megapixels primary camera with an aperture of f/2.2, auto focus, dual LED flash and Samsung sensor. On the front, the company is providing a camera of 5-megapixels for selfies and video calling. This phone is powered by a 3,400 mAh battery which is non-removable. The company is claiming that the battery provides a backup of 6-7 hours of talk time with a standby of more than 10 days. Other connectivity options like WiFi, Bluetooth v4.0, GPS etc are also available in the device. It runs on Android OS Marshmallow v6.0.1. Additionally, the company is providing pre-loaded apps like Mahabhasha which contain 21 Indian Languages, MobiKwik, Opera Mini, Opera Max and Clean Master in the smartphone. Through this device, the company is emphasizing on the music quality of the phone. The company wants to increase the customers base with the music lovers smartphones. For this, the company is providing dual speakers with the device. There is also an audio jack of 3.5 mm in the device. The company has great expectations that the music lovers would love the quality of the sound of the smartphone. Along with this, the company has also launched its new fitness smart band by the name fitRist Pulzz in India which is priced at Rs. 1,799. This device is available on the e-commerce website Flipkart.com. The device is officially launched and listed on the Intex website but still not available for the purchase. 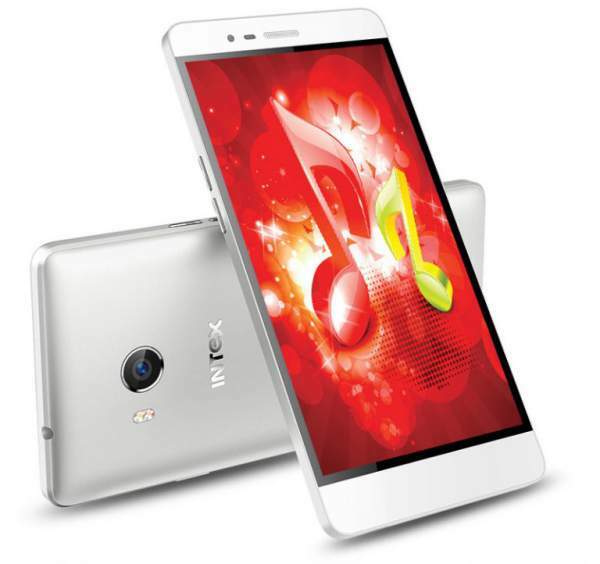 Intex Aqua Music price at Rs. 9,317 and is available in Grey and silver color variants.